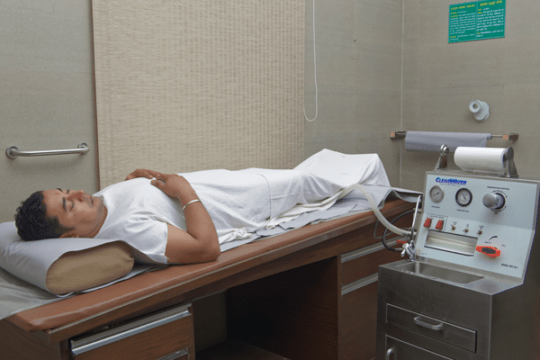 Colon Hydrotherapy is a treatment process which rinses the colon with warm water under gentle pressure to remove stagnated/ encrusted faecal matter, gastritis and mucus to free the colon of toxins. It can remove as many as 22 known toxins which are potentially poisonous to our systems. Removal of such toxins allows the nutrients to be absorbed by the body easily, making one feel healthy, light and rejuvenated. The therapy is safe, drugless, relaxing and effective. Optimum health is impossible without a healthy bowel and Colon Hydrotherapy is a proven detoxifying treatment. It is prescribed at Jindal Naturecure Institute for those who need it. I would love to come to jindal just would like to infor you that I have done my bayatric surgery .can I still come and loose some weight and can I do this colon therapy.